Carter's is bringing its brands to Buckhead in a big way. Atlanta-based Carter's is opening both a new Carter's and a new OshKosh B'gosh in Buckhead's Peachtree Battle Shopping Center later this year. 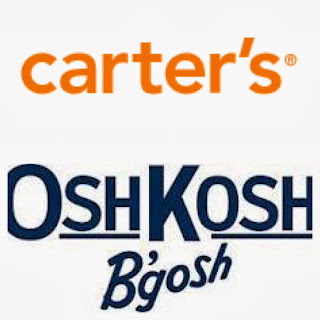 The two stores will together measure 8462 square feet with Carter's occupying 2715 and OshKosh at 5747 square feet. Carter's will be to the left, closest to Rite Aid, with OshKosh on the right, close to Café Lapin. There would seem to be roughly 2200 square feet left on the right that could allow for a small shop or restaurant. The two stores will occupy much of what was for many years Oxford Books and later Chapter 11* Bookstores. The overall 10,000+ square foot space was most recently home to offices of Keller Williams Realty. Earlier this year, Carter's relocated its corporate headquarters from The Proscenium in Midtown, to Phipps Tower in Buckhead. Sources say both stores are also slated to open in Phipps Plaza next year, taking advantage of the current kid / mommy friendly demographic of the mall thanks to Legoland Discovery Center. While a Carter's rep reached for comment was able to confirm the Peachtree Battle locations, she was unable to provide details on when or if the Phipps stores were still in the pipeline. While both pairs of stores are in Buckhead, Peachtree Battle offers a far more local, neighborhood-centric customer, whereas the Phipps Plaza location is within walking distance of numerous hotels and would likely be popular with tourists. Based on current intel, I'd guess both pairs of stores could open as soon as the second quarter of next year. Phipps needs better casual dining options.